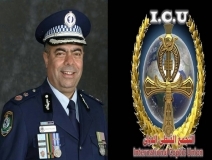 The International Coptic Union, which is a registered organisation with United Nation under human rights, together with the Australian Branch would like to extend Its support to the Deputy Police Commissioner Nick Kaldas. As an organisation that is active in 27 Countries, we play a role in human rights issues stemming from acts of terrorism and other related activities, and therefore bring some of these matters to the attention of the United Nations. The NSW Deputy Police Commissioner Nick Kaldas is renowned for his expertise in terrorism on a local and international scale. Nick is an honest and respected character who was selected as the Chief of Investigations in a 12 month UN Special Tribunal held in Lebanon regarding the assassination of former Lebanese Prime Minister Rafik Al Hariri and 22 other back in 2005 following an attack in Beirut. Whilst the international investigation was taking place Nick took unpaid leave from local duties as he took up a new challenge. Prior to the investigation Nick took part in, he was deployed to Iraq in 2004 as a Deputy Chief Police Advisor to the Iraqi police force in order to assist in rebuilding the Iraqi National Police. Nick has made endless contributions to the Police Force and Australia in his 33 years of service working and leading major Homicide, Armed Robbery, Drug and Counter Terrorism Operations. Through out the last decade Nick has played a key part of Australia’s fight against terrorism and gang related activities. Nick has been active in his work with Australia’s Middle Eastern Community, and was the NSW Police Force’s Corporate Spokesperson for Culturally, Linguistically, and Religiously Diverse Society In August 2011. The International Coptic Union pledges full support to Deputy Commissioner Nick Kaldas and calls on the public for their ongoing support during the investigation launched by the NSW Police Integrity Commission.